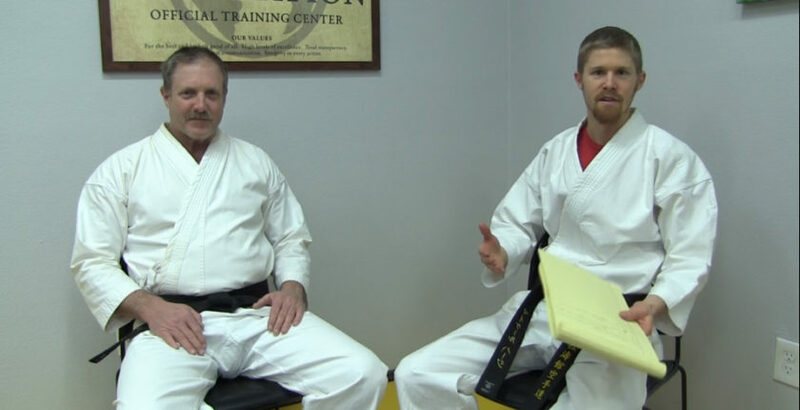 Below is the transcript of a question and answer style interview, in which Sensei Jon and Sensei Michael answer the most common questions from shotokan beginners. Sensei Jon is a 6th dan black belt and head instructor of the Global Martial Arts University Shotokan Karate course. Sensei Michael is a 3rd dan black belt and instructor. Is a uniform required for training? How should students formally address you and other instructors in the Shotokan program specifically? What are the most important things to concentrate on when you begin training? What should you not be focused on? Is it okay to learn multiple martial arts styles or weapons at the same time? Sensei Michael: Oss. I’m Sensei Michael from the Global Martial Arts University here with Sensei Jon. Michael: We’re actually here to answer common questions from Shotokan beginners. I’m going to be going down a list of some questions that we most commonly get asked by students and give you a little bit more information. Sensei Jon: I’ll answer that in a couple of different ways. 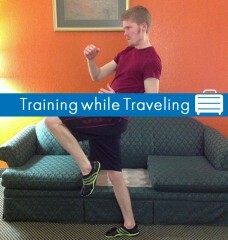 One, if you’re in a physical dojo training, yes. Nearly all dojos require a uniform. In Shotokan, a uniform is a white uniform with your appropriate belt color. 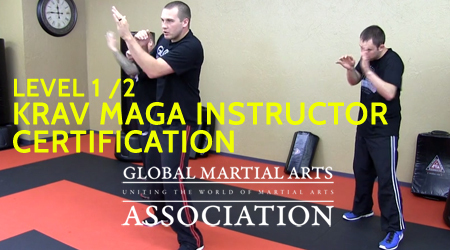 In the Global Martial Arts University, we would like to see you wearing a uniform, if you can. We understand that people are in a distance training system like this and financially strained at times, so people can’t get a uniform right off. But we encourage you to get a traditional uniform. Sensei Michael: We don’t force you to wear one because like Sensei Jon said, not everyone has the means to. Sometimes it’s hard to get one ordered in. We have students in random countries all around the world that can’t always easily order a martial arts uniform. I think when you’re training publicly, especially, in a group environment in the dojo, it’s something that you’re definitely going to have to wear. If you’re working out at home, it’s okay to be comfortable in something like exercise clothes, etc. At some point it would be nice to have that formal uniform, if you can get it. But it’s not something that should hold you back from even learning the martial art – is essentially how we see it. Sensei Jon: The way that I’m addressed is Sensei, Sensei Jon, in my school and a school setting. When a student comes in, he’ll call me Sensei Jon. That’s very typical throughout dojos regardless of your ranking or your classification, in a way. In Japanese, I’m a Shihan, at a Shihan level. At a belt test, I would be referred to as Hodge Shihan, that’s more formal. At a belt test, that’s a much more formal setting. But normally, in school, when we’re just practicing or you’re corresponding with me, Sensei Jon is adequate. Sensei Michael: People ask me the same thing. Like in the Ultimate Bo program, they’re like, “Why don’t you go by Hodge Sensei?” Because it’s typical to have the last name and then Sensei in Japanese. In a way, we’ve made it more comfortable for English speakers. The way that I’ve always been addressed was Sensei Michael. There is a great level of respect for someone who is a Sensei, first of all, because as you see in Japan, teachers overall are revered and respected, much more so than I think we see in some Western nations, because they have great respect for anyone that teaches someone else. Calling someone Sensei already is incredible, but beyond that, rather than being so formal and distant by using our last names, I’ve always like having the first name because you can have a little bit more of a personal connection and rapport with your student. I think that’s probably why Sensei Jon will go with that, too. 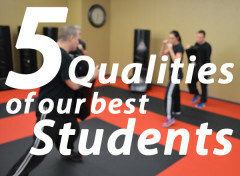 Sensei Jon: Most students need, at a minimum, probably a couple of training sessions a week and those sessions are really going to depend on the level you’re at and your physical abilities, where you’re at physically. In the beginning, we want to start off slowly and build up, so a beginner may be training two to three times a week with 30 to 45-minute training sessions. Then as you go up in rank, the amount of material that you’re working with all the time is becoming more and more and you’re also having to go back and train on all the material you’ve previously learned. Sensei Michael: You’re probably trying to push your limits a little more anyway, physically. Sensei Jon: And you’re trying to push your limit. Then you start getting up into an hour, an hour and a half. When you get up into your higher levels, in your advanced levels, you’re probably going to be training three to five days a week. What I did, when I was going through the ranks, is I had three days a week that were like two hours, because I was looking at my kata and everything that I had going on. Then I had some other workouts that were like an hour or an hour and a half. The voluminous of the material creates more and more as you move up. Sensei Michael: Absolutely. Also, just a little recommendation, don’t overwhelm yourself at the beginning and then burn out. Sensei Michael: A lot of students are very gung-ho about the training and they’re like, “I’m going to do this,” and they start training five days a week, and then they burn out. Do something that is sustainable. Something that actually works in your family’s schedule. A nice thing about learning at home though is you can vary that. It’s not always a set schedule, although you do need some sort of consistency. If you go a week or two weeks without doing anything and then you try to cram in three or four, it’s not going to work well. You need something that’s fairly smooth, two, three times a week, I think. Sensei Jon: Yeah, it’s always your body. You really have to listen to your body. We want to push ourselves a little bit all the time. But like Sensei Michael says, if you overwork yourself, what happens is you start having injuries and you get upset and it’s really hard to recover from that. Watch your body, do what you can, and have a nice consistent workout schedule. That question probably means beyond just the regular material. Obviously, we know we need to learn these techniques and do these classes – but other than that? You have to keep your energy level. You want to keep your energy level up and you want to keep yourself energized—it helps you stay motivated, it helps you stay focused. Even your breathing helps you focus as you go through your techniques and your exercises. That would be one. The next is you need to really work on your stances. A beginner student really needs to hone in on making sure that their stances are correct. Did I have the right separation, length and width-wise, and did I stay consistent in my stances? What I see a lot of times, and I know you do too, Sensei Michael, is that we’ll see somebody going through kihon drills or doing kata and their stances are just all over the place. What that does, is that breaks down the integrity of your technique when you’re trying oi-zuki or a block or whatever, a bad stance just wrecks the foundation of that technique. So, watch your stances. We have breathing, we have stances. Posture, make sure that you’re upright all the time. A lot of beginners don’t focus on that and they lean. They lean too far forward or they lean too far back. You want to have your body centered right straight through the center of your stance, as you do your techniques. We have breathing, stances, posture, and targeting. One of the things is, I have a target out in front of me, a virtual target, let’s say. I want to punch to that virtual target each time. If I’m doing chudan, that’s solar plexus level. If I’m doing jodan, that’s nose level. Gedan is lower abdomen or lower. We need to be aware of where our targeting is at. I see people doing tests or practicing and they’re punching all over the place as they move through their katas or their kihon drills. Sensei Michael: You’ve got to actually have an imaginary opponent from the beginning. Like, we’re talking about what should you focus on in the beginning and if you don’t do it at the beginning, you’re just going to start throwing random attacks. Every time you practice it, you’re not going to be actually trying to hit the same striking point. You’re just going to throw it out there in front of you. I was going to say on the point of stances, I think it’s the equivalent of you getting into bodybuilding, and going to the gym just for mirror muscles. They’re just trying to strengthen the biceps, the triceps, the chest, for example. You’re working on what you physically see, the arm blocks and strikes and kicks. You’re totally forgetting about the base foundation, which is the total integrity of the strike. Just like sort of glossing over or forgetting to work squats and deadlifts and things that actually build up the main strength in your whole body. It’s the same thing in martial arts. You’ve got to have that stance there for everything else to really work out well for you. Sensei Jon: At that fundamental level, that’s really important. You’re trying to build that foundation, which is the stance, plus the targeting, later on you’ll get to where you’re moving those targets around, but in that first level, you need to really focus on where you are at. Last thing I’ll talk about is focus and concentration. When you first start, you’re going to have difficulty focusing and concentrating because your mind is so busy with: “How do I do this?” “How does this work?” You have to break everything down. You have to go slow. You have to do each technique slowly. Make sure it’s correct and then build your speed on top of that to where there’s no thought. That takes a lot of repetition and time. Think about having focus and concentration. To get that good focus and concentration, it’s going to take a lot of repetition, so don’t get upset with yourself, because you don’t seem to be making headway, but you are. The initial level is the toughest. What should you not be so worried about as a new student? Sensei Jon: Time. Time is the biggest illusion and killer and it’s not just Shotokan karate, it’s anything in life. We have a fixation or obsession with time in our systems. We give you a minimum time to go from point A to point B. We give you that minimum time just because everybody demands it. We want to give you a target, but society demands that I have to know how long it’s going to go from here to here to get there. Instead of thinking that way, what I encourage you to do is to only look at where you are and what you’re doing. Don’t fixate yourself on the time. 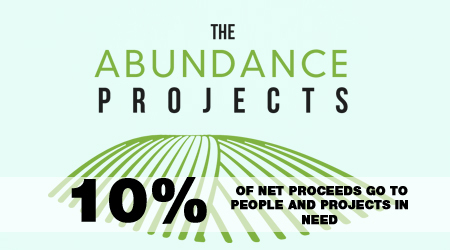 That’s really what drives people out of programs, not just our program, but any program, is they have some constriction upon herself about how rapidly I need to do this or how I need to be. Sensei Michael: Their expectations are so tied to time that they’re like, “I’m not at this level yet and it’s already been a month. Why? I must be wasting my time, I must be wasting my energy.” Those sort of things go in and out of their head all the time. Sensei Jon: And some other things that really are a drawback to you is to believe—you watch Bruce Lee on films, Chuck Norris, all these guys who are fantastic martial artists and we build some expectations of how something is supposed to be, based upon what we see in movies. Sensei Jon: This really happens. I mean, I did, when I was a kid. I watched every Bruce Lee and Chuck Norris movie that was available. When you get into the real thing, the real training, it takes time and it takes work, focus, concentration, determination, and never giving up. The only reason we’re sitting here doing what we’re doing is because of focus and determination. We never turned away. Sensei Michael: Yeah. It’s the wrong focus. Jon: It’s the wrong focus, yeah. It’s not going to involve you having to train 30 hours and then get your belt. It’s not going to be about time. It’s going to be actions you’re taking, your attention and your intention. The words I always think about, you’ve got to pay attention to the right things and then intend them for the right reasons, and then it will work out really well for you. You will probably go through and end up earning that black belt too, but not because that was the only driving force behind you. It’s having the right intention and the right motivations that actually end up getting you those things anyway, in a way, but that wasn’t all you’re thinking about along the way. How would you gauge that or is it bad idea? For example, people ask, should I do Shotokan karate and Ultimate Bo (which is my bojutsu program) at the same time or learn Krav Maga and Shotokan or whatever. Maybe they’re already learning an art and they want to learn a new one. What do you think about that? Sensei Jon: I think for a beginner, a beginner really needs to get their feet on the ground with Shotokan or whatever your main style is that you’re working in. Get two, three belt levels in and get comfortable with the stances and the training routines. Then you can bring in a weapon at that point or another style. I’d kind of be careful about mixing styles though because techniques are similar in a lot of styles, but not completely. Sensei Michael: I say, for example, Ultimate Bo can be complementary with Shotokan because it’s a Japanese-based art and we use very similar stances, very similar methodologies. But if you’re a pure beginner learning Shotokan and a few months later you wanted to start Krav, for example, they’re very different styles. Sensei Jon: Very different styles. Sensei Michael: Totally different. I would definitely wait until they’re a lot more advanced and you have a really good, comfortable foundation in one before you jump to a totally different type of style. The only exception would be you could probably learn Shotokan and let’s say, Brazilian Jiu Jitsu at the same time. They’re totally different in the fact that you’re grappling, you’re on the ground. But if you’re comparing two stand-up styles, for example, Shotokan and Taekwondo or Kung Fu or something like that, you could clash more and start borrowing and using another as a crutch and not actually learn one or the other properly. Sensei Jon: Yeah. Really what I did is I went through the ranks and got my black belt and then I started training in other styles and I started training in other weapons. A lot of black belts do this. We have a lot of black belts training with us that have a black belt in something else and they want to get into Shotokan. That’s really the best way to do that and it’s just easier to move through everything and really retain it. Retention is really hard when you’re trying to master two things like that. They’re very complicated. Sensei Michael: Thank you, Sensei Jon, for answering questions. If you have any other questions or comments, let us know. I hope you have a wonderful day. Keep training hard! Can i become black belt in 3 months if I am hardworker ? No, you will need more time than that to truly master the techniques. I have been training shotokan karate for like five years but I have not got a chance to test for my shodan because our sensei tells us we should travel to South Africa for a certified test with those sensei but I find it more expensive for me and I don’t really want to stop here I love the art and I want to progress with the art. Is there a chance for me to test with you and how much will it cost me for the test including the belt? I will be grateful to here from you. Hi Okello, I am sorry to hear that you have not been able to test for your shodan yet. We would not be able to do a transfer in to the same rank that you are currently in. We would need you to start back at white belt, but in our accelerated fast-track program. If you are looking to test straight to shodan (which does make sense), you will need to fine a local option. Otherwise, our online program could allow you to test back through the ranks quickly and then once you are at 1st kyu, prepare, and take the shodan test with us. Can you actually earn a black belt in Bo Staff?